I read Eric O. Scott’s book last night. It’s short, more novella than novel, and it didn’t take me long. I was compelled to finish it and review it as soon as I could. That it compelled me to this much is a point in its favor. 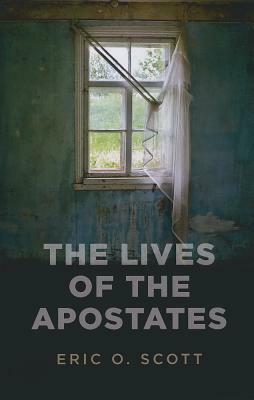 The Lives of the Apostates is the story of a youngish Pagan, not unlike the author. I know him from his contributions to the blog site http://wildhunt.org/. Both Scott and his main character are second-generation witches, a concept that fascinates me and catches at my heart when I see it at conventions and festivals. Lou, the fictional witch, is a beautifully layered protagonist. He’s made up of anger and love and responsibility and faith and confusion and brutally honest doubts. His voice and interiority and asides are incredibly genuine. Scott’s voice as a writer is strong and I was taken in by his metaphors and colorful turns of phrase, spiced with a piquant amount of profanity. Lou’s sidekick, Grimey, will ring true and familiar to any of us who hung out with high school Pagans. Grimey is all skinless pain wrapped in black t-shirts, his insecurity yawns before us as he tiptoes around coming out of the broom closet. It’s poignant and painful and a little funny if you see it in the right light. The story follows work and school and desire and the way things fall apart. It is complex enough to remain interesting without following any of the side-stories too far out to find its way back. Lou’s job caring for disabled adults allows us to see him as a compassionate realist, while his academic endeavors give us a deep, glistening view of his intellect. His attempts to woo a girl are germane to our times, fraught with complications and connections formed in the wrong places. However, he never treats his female characters as receptacles or tools or prizes. I expect no less from a Pagan author, but I was on the lookout anyhow. The narrative and the voice are strong throughout and there is no part of this that isn’t wholly believable and even inspiring. Nevertheless, the book is not without flaws. I love the detail and parallel added by the story of Julian the Apostate, the last Pagan Caesar. However, the story runs a little long into the historical details and is sure to lose some readers in a litany of details that runs toward preachy. I like history and I have been known to wax speculative about Hypatia of Alexandria; it didn’t bother me. Other readers may get different mileage out of the lesson. The only part of the story that is damned near irredeemable is a scene that will be familiar to any teenage Pagan/Wiccan/Witch. Stop me if you’ve heard this one: “Once, when I was young and probably on the low end of the power differential, I had an incredibly detailed and witty debate with a spiritual authority of the Christian church. I totally stood up to him and told him how wrong wrong wrong he was. I stormed out of his office and made some kind of rebellious gesture. This narrative is central to my personal fable and integral to my spiritual identity.” And the sign flashes for applause. Eric O. Scott may have actually had this experience. The truth is, I had a variant of it myself. I once had to defend myself to the faculty advisers of a Campus Christian club over something I’d published and sat through an hour of them lecturing me on the certainty of going to hell before skipping out, giggling and singing about my destined destination. The problem is that this story is so absolutely rote to the personal conversion narratives of most Pagans that it’s almost as cringe-worthy as the Imaginary Pagan Grandmother. Maybe this is part of being second-generation. Maybe Scott hasn’t had to craft a narrative of conversion and so didn’t see the archetype in time to duck. He carries the scene with authenticity, and it doesn’t end with typical adolescent flouting of law and convention and a convenient evasion of any consequences. I applaud him for that, without the lights flashing to tell me to. I LOVE the ending of this book. It is delicious and deserved, and it made me smile. If you’ve skipped down to the conclusion of my review to get the recommend, here it is: read this book. It asks very little in the way of time and it delivers a wonderful story that is authentic if a little familiar, and exotic to a nation of converts in its native dialect. 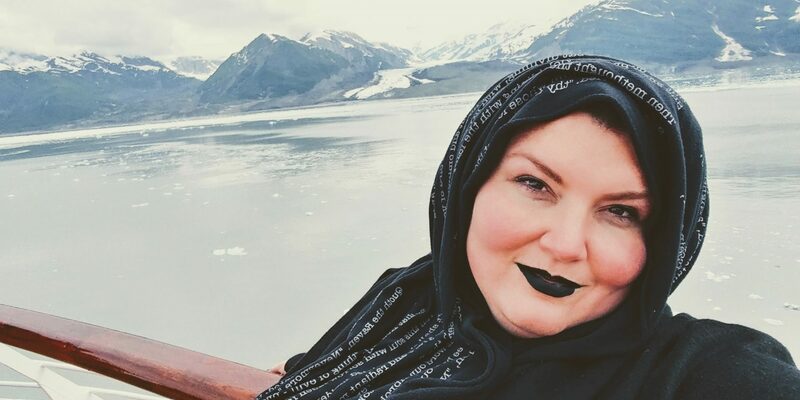 I don’t tell people to support Pagan authors broadly; there are those who don’t deserve it just for showing up in the their robes and passing the plate. Eric O. Scott has done the work. This book was a very enjoyable read and I can’t wait to see what he comes out with next. I just read and reviewed this and must thank you for finding my blog through this link. I find it interesting we both used the word compelled more than once in relation to this story! Anyhow, I really agree with the analysis of the characters. For such a short book, I found the characters had a depth and richness that carried the narrative well. Also, I loved the historical discussions, but as I talked about in my review I typically read non-fiction, so that’s my bias showing! It’s probably the circles I run in and my secular upbringing, but I didn’t realize the loud confrontation of an authority figure was a staple in Pagan stories. Very interesting. Well, thanks for following me. I’m glad you did because I’m enjoying your blog so far, and I loved reading another take on the story!